Years ago one of my amazing clients told me about her tradition of doing a New Year's jar and graciously allowed me to share it with others. Starting on January 1st at the end of the day you write down your favorite moment of the day on a small piece of paper. It could be something sweet or something that made you laugh out loud. Then you place it in a jar where you can see it daily. 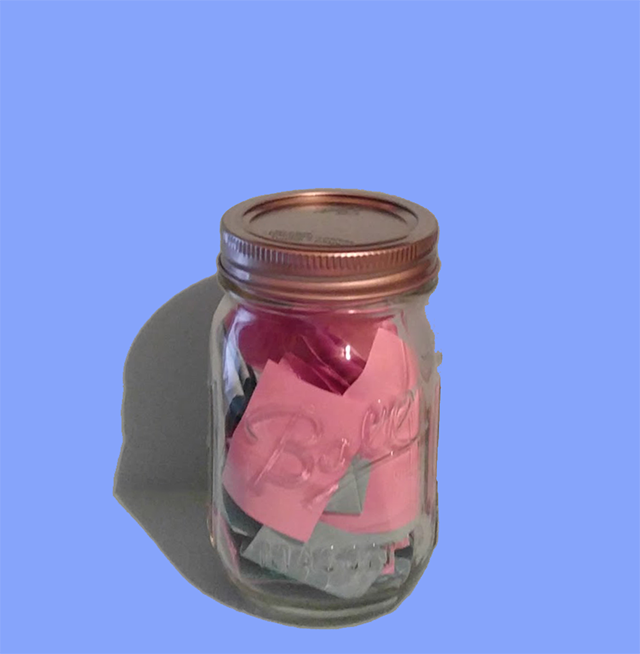 Some of my clients have liked to use different colors of paper to create beautiful designs in the jar. Others have preferred to pick one color that relates to how they want to feel that year. At the end of the year you open up your jar and read all of your happy memories. There are many benefits to this activity. One is that it shifts our focus on the positive. It can help us see that even on what seems like the worst day there is something we can be grateful for. Another benefit is it serves as a visual reminder of the good in our life. Finally, we get the added joy of remembering all our happy memories at the end of the year when we read them. Even if the New Year jar is not for you, I hope you will consider creating some traditions of your own that bring you happiness every day.